FB: I was told you’re a tracker. What exactly is a tracker? 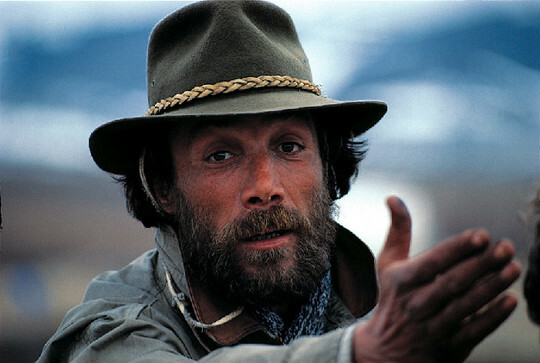 AB: In a nutshell, my role is to move a day or more ahead of a convoy, in order to find the safest and fastest track that can be followed by the expedition, so everyone can move forward in the smoothest of ways possible in the unforgivingly cold wilderness. FB: No kidding? It must be so wicked and exhilarating! AB: Yeah, it’s really incredible, but it’s not so exhilarating when you fall three meters deep in an iced lake, wondering how on earth you’re gonna get out alive. FB: Aaaaaaah? You’re serious? Three meters deep? Who has not once dreamed as a child to meet a North Pole adventurer, like the ones depicted in Jack London’s novel; one of these timeless heroes that seem to only exist in works of fiction. The North Pole has countlessly been the center of fascinating expeditions, testing the physical and mental limits of any human being ready to accept a challenge that could prove deadly. We often forget that such epic adventures would not happen but for the existence of genius trackers. Alain Brénichot is such a genius. 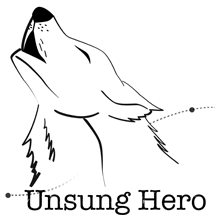 To meet with this tracker, to hear his stories, to share his experience of a man who’s been alone in the freezing wilderness, to retrace this adventurer’s uncommon life; this is the starting point of “Unsung Hero”. Alain Brénichot is a sweet-hearted colossus, a force of Nature, and by filming this short-documentary, our wish is to make Alain Brénichot’s story known to all of you. A larger than life character, a lover of Nature that must be brought out of the shadows and into the light, Alain’s message will be recorded by the team of “Unsung Hero” for the generations to come. In order to film Alain Brénichot’s epic story, our team will gather in the South West of France (Dordogne), the starting point of the expedition “Unsung Hero”, and drive to the region of Vercors (South East). We will stay in Vercors for five days, a time during which we will record Alain Brénichot’s story on visual and audio formats. Our team will also compose and record the music score for this documentary. Parallel to the broadcast of “Unsung Hero” on Youtube and Vimeo, our dream is to get Alain Brénichot’s uncommon and magical story played on screen during film festivals. We sincerely hope your generosity will help us reach our goal of 2800€, in order to guaranty the complete production of this artistic documentary. Should your generosity allow us to exceed expectations, the extra funding would be used to promote this documentary for film festivals. If you want to help us make our dream come true, Kissbank us! Your name in the end credits and on our Facebook page. All our gratitude. THE FOX’S SHARE: Original Soundtrack in MP3 download + 1 "Unsung Hero" postcard signed by the team + Your name in the end credits and on our Facebook page. Download of 1 picture of our journey in high resolution + 1 “Unsung Hero" tee-shirt + " the fox's share". THE WOLF CUB'S SHARE: Original Soundtrack in high quality download. Your name will appear in the end credits in our special thanks section + Download of 1 picture of our journey in high resolution + 1 "Unsung Hero" t-shirt + 1 "Unsung Hero" postcard signed by the team and Alain Brénichot. Short documentary download in high quality. Your name on the film’s website, as well as on all our promotion and distribution platforms. 1 print of our journey signed by the team + "the wolf cub's share". 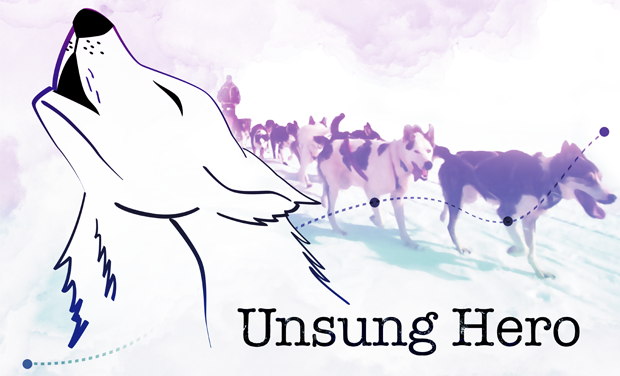 THE WOLF'S SHARE: Short documentary "Unsung Hero"+ "Behind the scenes" + Original Soundtrack all in high definition/high quality download + 2 prints of our journey signed by the team. Your name on the film’s website, as well as on all our promotion and distribution platforms. 1 poster of the movie signed by the team. Your name appears in the end credits in our special thanks section. 1 picture of our journey in high resolution download + 1 "Unsung Hero" t-shirt. 1 "Unsung Hero" postcard signed by the team and Alain Brénichot. THE REINDEER'S SHARE Avant premiere download of short documentary "Unsung Hero"+ "Behind the scenes" + Original Soundtrack in high definition/high quality. Your name appears in the end credits alongside the directors and producers + a photo-book of our journey signed by the team + "the wolf's share”. THE GRIZZLY'S SHARE: Meet the "Unsung Hero" team for half a day, and get a chance to talk with them about the project. 1 exclusive and original document from the filming signed by the team and Alain Brénichot. 3 prints of our journey signed by the team + "the reindeer's share”.